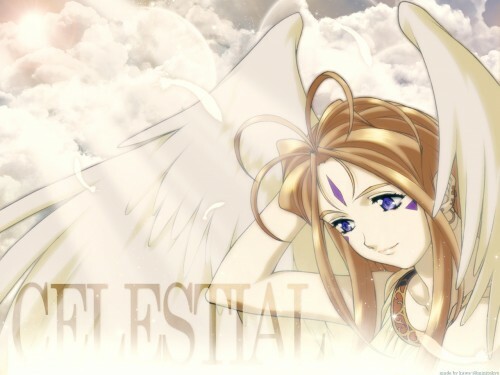 -- I love the rays of light that shine on Belldandy ! Very very good job ! those clouds and the sky bg fits belldandy very well ^^, nice wallpaper n_n *+favs.. I agree with speed up above. How aobut a textless version. The text is okay...but really could have been better without it.